It was history in the making. On March 6, 1968, hundreds of Theodore Roosevelt High School students poured out of their classrooms and marched to the main entrance, where they encountered a locked gate. According to published reports, some students chained themselves to a pole, while others climbed over the school’s fence, and at least two were beaten by police waiting on the other side. 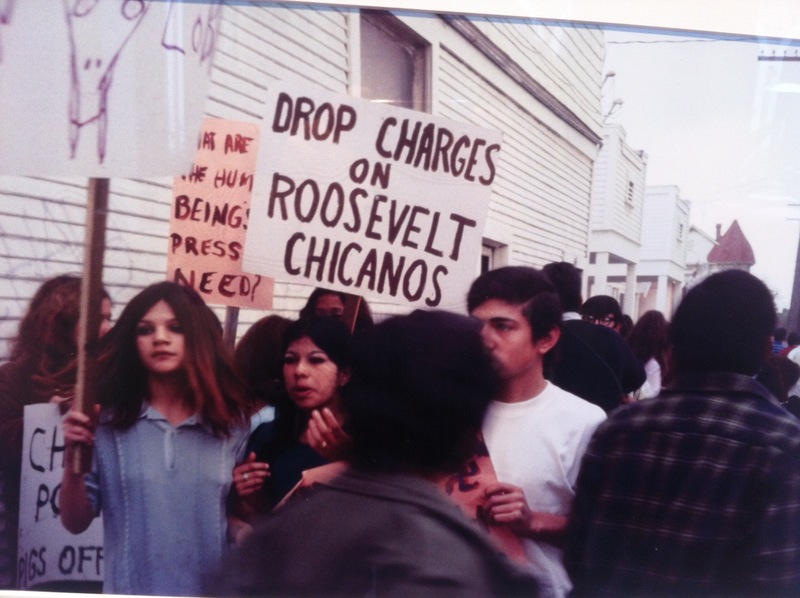 The Walkouts, also known as the Chicano Blowouts, became one of the first mass mobilizations of Mexican Americans in the country and a landmark moment in the Chicano Movement of the 1960s and 70s. Many of the demands, such as a curriculum that reflected the Mexican American culture and experience, were never implemented. But the movement empowered and unified community members and awakened the political consciousness of Chicano youth. 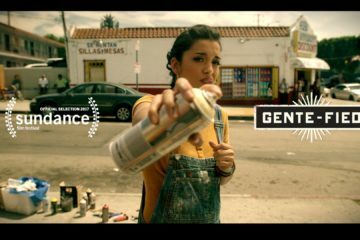 As predominantly Mexican American communities, Boyle Heights and East Los Angeles were at the epicenter of that movement. Yet many young people don’t know about that history. 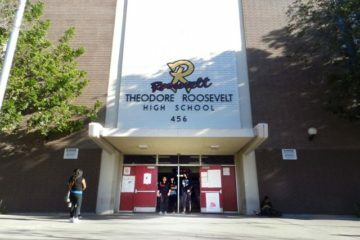 Today a new ethnic studies class at Roosevelt aims to change that by educating youth about their roots and instilling a new generation with pride. Carlos Montes, one of the leaders of the Chicano Blowouts and a former Roosevelt student, sees the importance of teaching such classes, especially in light of the current anti-immigrant political climate. “Ethnic studies, especially Chicano/a studies documents our rich history of resistance against racism and fighting for our rights in the Southwest,” says Montes, now a member of the Boyle Heights Neighborhood Council. In 2014, the Los Angeles Unified School District established an ethnic studies class as a graduation requirement with the goal of having students learn about the histories. Schools can tailor their ethnic studies classes to the needs of the neighborhood. Nineteen schools in the district already teach such courses, including Roosevelt, Francisco Bravo Medical Magnet and Felicitas and Gonzalo Mendez High School. Developed by an Ethnic Studies Task Force, the new classes will touch upon topics such as comparative ethno-racial studies; Martin Luther King’s civil rights work in the South; Malcolm X’s work on voter registration; and the history of the United Farm Workers. Currently, the social studies graduation requirement for LAUSD students is two years. The new requirement adds an additional district-approved semester course in ethnic studies for students scheduled to graduate in 2019. 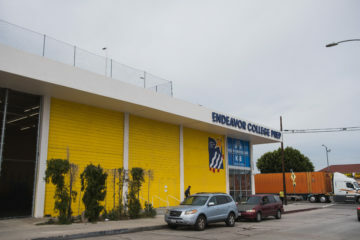 At Roosevelt, “Boyle Heights in Me,” the cultural geography course taught by Roxana Dueñas, will satisfy the new requirement. It focuses on looking at historical events with a multicultural perspective. “We decided would identify and learn about the history of Boyle Heights and the U.S, but that we would add the critical lens of analyzing race, class and gender,” Dueñas says. Students are taught to look at viewpoints that differ from those they might find in textbooks. Daisy Villalobos, a freshman at Roosevelt, says that learning about this history inspires her. “What I like best about the class is that it makes me reflect [on things] I have never encountered, and it’s also taught me the story of Boyle Heights and how it is perceived,” she says. Mariana Ramírez, a history teacher at the Math, Science, & Technology Magnet Academy at Roosevelt also teaches her students to interpret historical events through a multicultural lens. “So for me is not only the lessons in the classroom but the connection to the community that brings ethnic studies alive,” she says. Ramírez also advises the Movimiento Estudiantil Chicano de Aztlán Club (MEChA), which promotes education, culture and history, and encourages students’ political involvement as an avenue for change. MEChA began at Roosevelt soon after the historic walkouts and currently has 40 active members. Ramirez sees her advising on MEChA as a natural extension of her teaching. “In this predominantly immigrant community and especially in this 21st century, there is still this tension that negatively affects Chicanos by undermining them instead of empowering them to achieve a higher education,” says Ramirez. Marc Arenas, Roosevelt senior and vice resident of the MEChA Club, says learning about the past is helping him become more involved in his future. Maybe by learning about achievements of Americans from all backgrounds would be be idea.